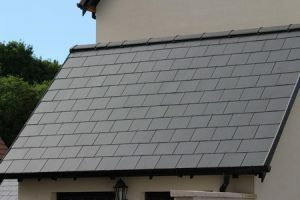 What Are the Benefits of Having a Slate Roof For Your Home? Is it time to put a new roof on your home? If so, there are myriad types of roofs that could suit your home. From regular asphalt shingle roofs to cedar shake roofs, you’ll have no shortage of options. Nevertheless, one of the best ones will be slate roofs. Take a look at a few benefits of going with a slate roof below. Slate roofs will make your home look gorgeous. The first thing you’ll notice when you install a slate roof on your home is how beautiful slate roof tiles appear. They’re made using metamorphic rock, which gives them a unique appearance. They also come in an array of colors, including everything from dark gray and black to red and green. You can choose the tiles that’ll look best on your home based on the style of the rest of it. They’ll prove to be durable over the years. Do you want to make sure that you’ll never have to replace the roof on your home again? If so, go with a slate roof. As long as a slate roof is installed properly, it can last for more than a century in many cases. It’ll hold up well in the toughest weather conditions and can even withstand fire. You can’t say that about many other roofing materials. They require almost no maintenance on your part. There are some roofs that will need to be maintained all the time after they’re installed. Slate roofs don’t fall into this category. The only thing you’ll need to do to them is inspect them every few years and repair roofing tiles on the rare occasion that they get broken. Otherwise, your roof will pretty much be maintenance-free for years to come. At Roofing by Bruce, we can install asphalt shingle and cedar shake roofs for you if you’d like. Nevertheless, we also specialize in installing slate roofs for those homeowners who want to find out first-hand what they’re all about. Call us at 570-424-8891 today to set up a roofing consultation.